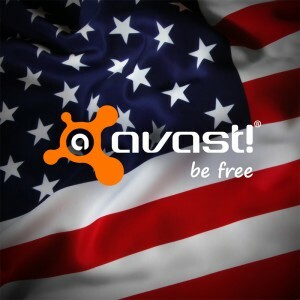 AVAST is gearing up to expand further into the US market. With nearly 14 million active avast! Antivirus users in the USA, some would call that a success, but we see it as an opportunity to protect American's online lives and multiple devices in a bigger way. With the announcement of a new investment in the company from CVC Capital Partners, as well as a heightened awareness of the importance of security and privacy issues in everyday life, we are energized to expand our global reach with an emphasis on the US and mobile security. So why the renewed commitment to grow in the US? CVC Capital Partners, ranked by Forbes as the 2nd best private equity firm in the world, has recently committed to a major investment in AVAST. The investment values AVAST at $1 billion and sends a strong message about their belief in the management team and our strategy going forward. In a joint statement from AVAST and CVC, Lorne Somerville, Partner and Head of TMT at CVC Capital Partners, and Siddharth Patel, Managing Director, TMT, at CVC Capital Partners summed up the confidence the investors have saying, "AVAST’s focus on customer experience, best-in-class technology, and rapid growth in mobile set it apart from any other security software company. Furthermore, we firmly believe in its ability to offer more and more to its 200 million users, driven by the philosophy that its free products should be better than the paid products offered by others." AVAST antivirus products protect more than 200 million users in 40 languages. The extreme popularity of avast! Free Antivirus makes it the world's most popular PC security software, guarding nearly 170 million PCs from malware. Our mobile anti-theft and antivirus product, avast! Mobile Security, has rapidly become one of the world’s most popular Android security products and protects nearly 40 million Android devices.